Your annual check-up at the doctor’s office doesn’t usually include paranormal activity. But these haunted hospitals and asylums aren’t your average wellness centers. They all have dark and sad pasts, and their rooms still contain the ghosts of patients who died within those walls. The Spanish Military Hospital served as a medical facility from 1784 to 1821 and is now a haunted museum dedicated to freaking out any who dares to enter. Though the museum isn’t the original labyrinthine structure that sheltered the injured, it is located atop the same scared Indian burial site—meaning there are plenty of restless souls still wandering the grounds. 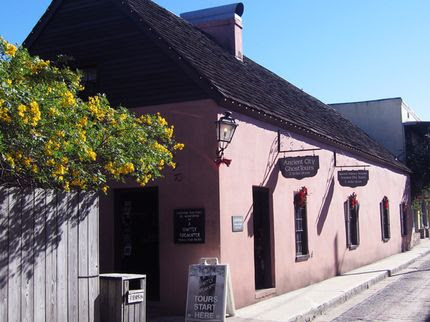 Guests have reported odd encounters like seeing apparitions, objects moving by themselves, and, scariest of all, something grabbing at their ankles as they walk through the site. 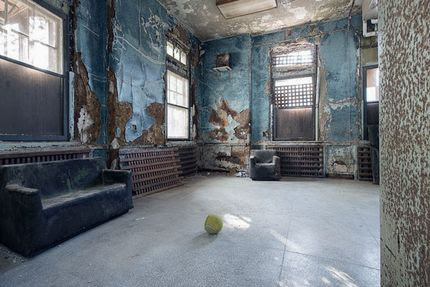 Built-in 1908 as a school/hospital for the physically handicapped and the mentally insane, Pennhurst Asylum was a small city in and of itself. With a population of more than 10,000 patients at any given time, the asylum is also the location of abuse, torture, and even murder at the hands of its staff. In 1968, NBC released a feature, “Suffer the Little Children,” showcasing the dehumanization patients underwent at the asylum. That broadcast and the repeated allegations of the staff’s abuse of their patients finally led to Pennhurst’s closing in 1986, though its innards, equipment, and patients’ belongings were just left abandoned. Today, it’s the site of a haunted attraction where you should go if hearing disembodied voices brings you comfort and joy. 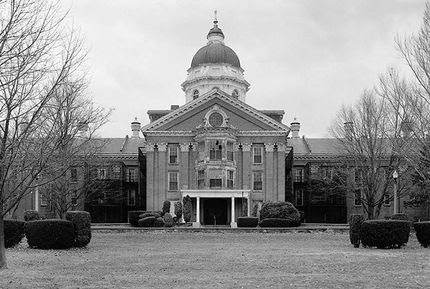 From 1874 to 1993, Athens Mental Hospital, now known as The Ridges, earned a dark reputation for its frequent lobotomies, housing of violent criminals, and its grounds, which served as the final resting place for more than 1,900 of its patients– their headstones marked with not a name, but only a number. Creepier still, a woman named Margaret Schilling reportedly disappeared in 1978 inside the hospital’s maze of wards. Her naked body was found a year later in an abandoned wing of the hospital—her clothes folded neatly by her side. Today, you can still see the stain left behind by her decaying body, and possibly her ghost on the top floor in ward No. 20. 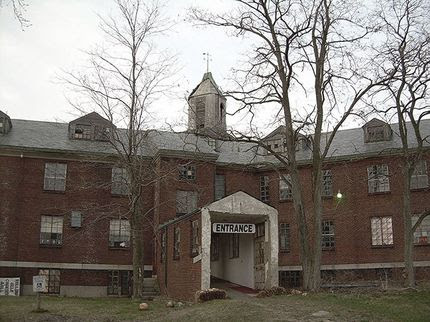 Shut down and left to its not-so-merry ghosts in 1975, Taunton State Hospital was a product of the Kirkbride Plan, a massive 154-acre architectural approach that masked the deteriorating patients housed within its walls. While most of Taunton has since been demolished, its history is just too creepy to leave off the list. The hospital opened its door to some dangerous patients—including Jane Toppan, a serial-killing nurse with at least 31 souls on her list—though it’s the stories about the staff that truly chill the spine. Legend has it doctors would shuffle patients down to the basement for a bit of satanic ritual. Later, reports of a “shadow man”, a ghost who crawls along the walls and watches patients, swirled. Formerly the Genesee County Poor House, the Rolling Hills Asylum has gone from an orphanage to a nursing home and tuberculosis treatment center, housing alcoholics, the handicapped, the widowed, and abandoned. The site’s death toll is rumored to clock in at around 1,700. And that’s not counting the hundreds supposedly buried in unmarked graves across the grounds. 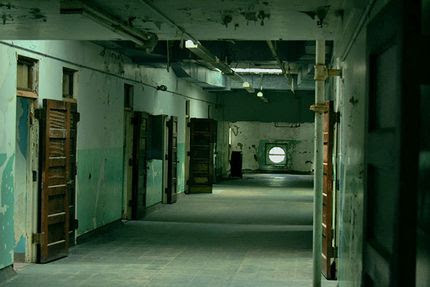 One particular paranormal hotspot within this brick-and-mortar asylum: the Shadow Hallway, named for the abundance of dark figures that play peek-a-boo in its path. Keep an eye out, and your head up, for the ghost of Roy Crouse, a former patient who died at RHA at age 52 and stood almost seven and a half feet tall. 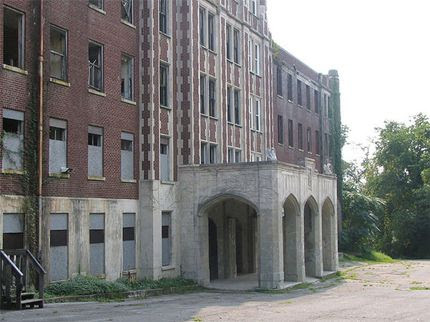 Originally constructed as a tuberculosis hospital in 1909, the Waverly Hills Sanatorium is awash with mystery and paranormal activity. And though it’s seen its share of death from disease—an alleged 63,000 deaths—it’s actually the living who ignite the heebie-jeebies. During the hospital’s time of operation, rumors of patient mistreatment, suspicious human experimentation, and the staff’s use of the “body chute” ran wild. Also known as “the death tunnel”, the body chute is the underground chamber where bodies were piled up before being carted away and cremated. Should you dare visit, stay away from room 502. Unless spotting ghosts of nurses who have hanged themselves are your thing. Looking for something more festive? Drive down for the holiday laser light showand have yourself a creepy little Christmas. 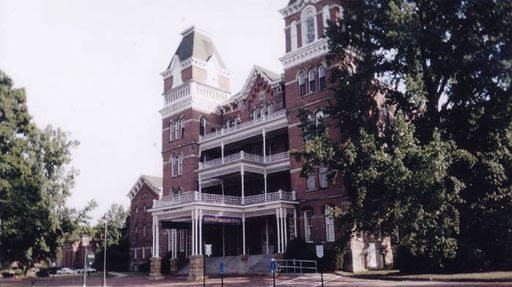 A Kirkbride psychiatric hospital, this facility operated from 1864 until 1994 by the state of West Virginia. Completed by 1881 with the designs of architect Richard Andrews, the hospital had a capacity of 250 patients. By the 1950s, it had become overcrowded with over 2,400 patients. Due to bizarre experimental treatments and severe neglect, thousands of patients died in the facility. There was no adequate procedure for admitting patients, creating a broad spectrum of mismatched patients with disastrous consequences. Two decades after the asylum closed, the staff that used to work there made various haunting claims. According to some, ghosts roam the halls followed by the whispers of forgotten patients. Others have reported unusual smells, a sound of squeaking gurneys, and screams from the electroshock room. A former manager stated that she witnessed 40 doors slam shut simultaneously. Many visitors have noticed a little boy standing in the corner of a room—or rather the ghost of a little boy. 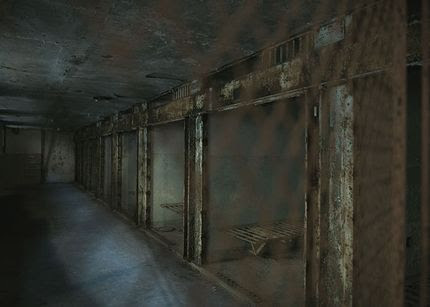 The looming high stone walls inside the castle-like Eastern State Penitentiary hold some of the most haunting secrets. The prison took solitary confinement to new heights: Prisoners lived alone, exercised alone, and ate alone. Throughout the years, the prison only harshened its punishments; one form of punishment involved an inmate’s hand being tied at the back and then strapped to an iron collar in the mouth, so any movement would cause the tongue to tear.